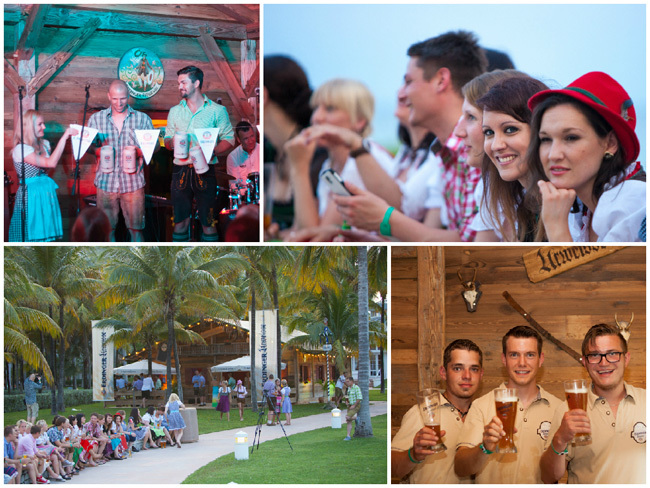 Freeport, The Bahamas - Germany's largest radio station, and the world's largest wheat beer brewery, Erdinger Weissbier out of Bavaria travelled to Grand Bahama on a promotional tour and constructed a 32.8ft x 32.8ft alpine cabin on the grounds of Grand Lucayan in 14 hours! The cabin was shipped to Grand Bahama in a larger container, and once set up under the palm trees, it looked as if it had always been there. 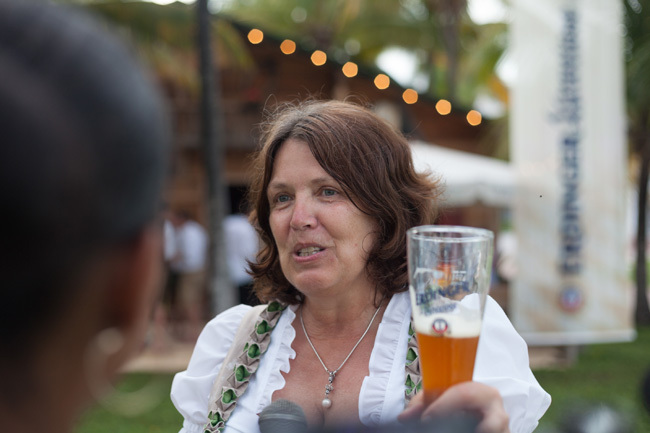 40 lucky Bavarian winners traveled to Grand Bahama to partake in the annual event called the, Erdinger Urweisse Hütt'n Tour which has never made a trek of this distance before. 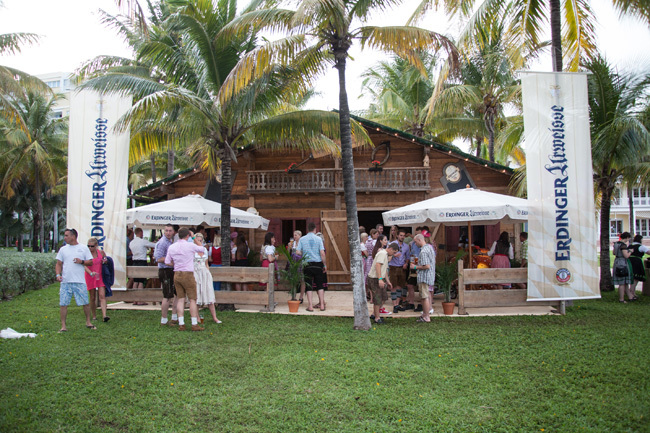 The Bavarians were hosted at the Grand Lucayan resort from June 3rd through 7th. 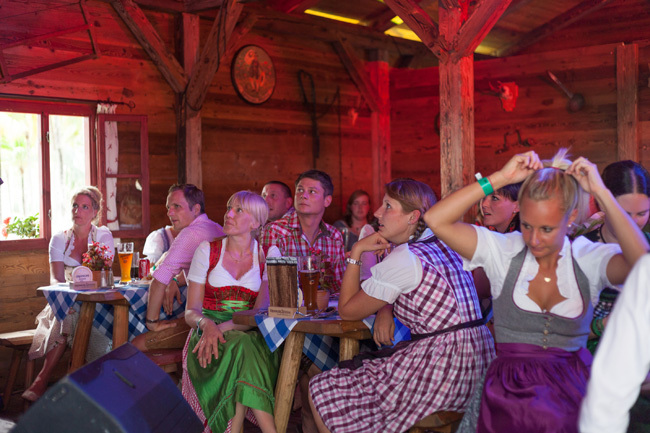 Erdinger Urweisse Hütt'n Tour is in its fifth year, and not only is this the first time they've traveled halfway around the world, it's the first time the promotional event has been held outside of Germany.